School breakfasts have been in the news. New York City public schools recently announced that breakfast would be free to all of their students. Governor Roy Cooper and First Lady Kristen Cooper recently visited Riverside High School in Durham to tout that school’s policy of offering free breakfast to all of its students. Currently, only 58% of North Carolina students eligible for free/reduced meals are eating school breakfasts. 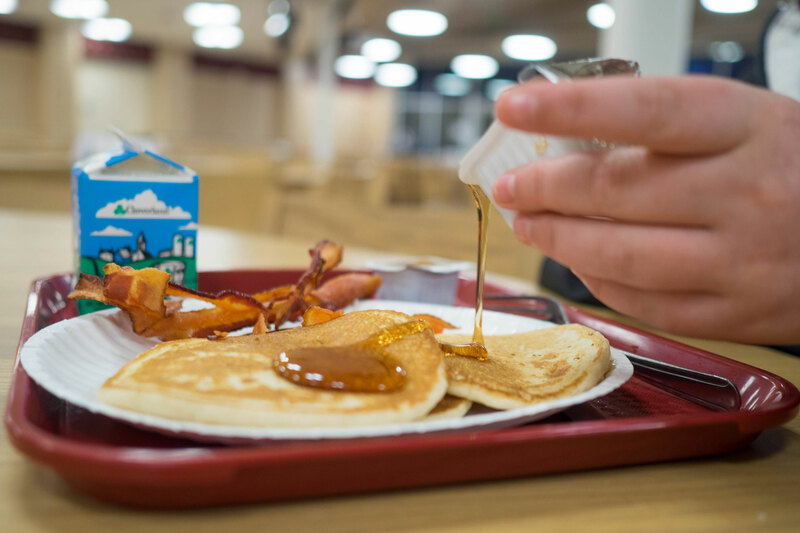 Timing and transportation difficulties are part of the reason, but there is also a stigma, particularly for older kids, that discourages those eligible from eating a school breakfast. Yet recent research continues to build on the case that eating a good breakfast is critical for a child’s health and his or her performance in school. The more we do to encourage eating a healthy breakfast, the better off our kids will be. Last session a number of House Democrats sponsored HB 891 , a bill to invest in providing school lunch and breakfast to all kids. House Republican leadership did not allow the bill to be heard, but it is too important an issue not to push for next year. You may remember one of the big problems with the State Budget we passed this year was it prioritized tax cuts for millionaires at the expense of working families and the middle class. Investing in free school breakfasts is a great example of how our priorities are mixed up. For a fraction of the cost of millionaire tax cuts, we could be helping our kids do better in school and improving their health.